Access to the New York Court of Appeals, the state's highest court, is limited. In criminal cases, except for a person sentenced to death, no party--neither defendant nor prosecutor--has a right to appeal to the Court. Instead, permission to appeal must be granted by a Justice of the Appellate Division, or a Judge of the Court of Appeals. In civil cases, there is a somewhat greater right to appeal, most commonly when there are two dissents on the law in the Appellate Division. See, CPLR § 5601. Otherwise, civil litigants must secure permission to appeal from either the Appellate Division or the Court of Appeals itself, an endeavor informed by often abstruse but very important notions of "finality" and "appealability." See, CLPR § 5602. But whether it is a criminal case or a civil case the rule of thumb is the same: it is difficult to get a case into the Court of Appeals. 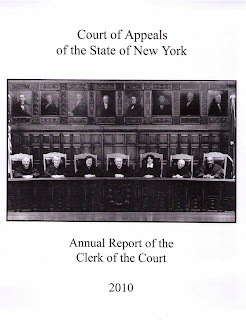 The Clerk of the Court of Appeals has just issued his annual report for 2010, and the report confirms the rule of thumb. In civil cases there were 1,045 motions seeking leave to appeal and the Court granted only 6% of the requests. This was down from the 7.2% grant rate in 2009. In criminal cases there were 2,220 applications for permission to appeal, and the Court granted only 108--or 4.9%. This is a considerable increase from the 2009 grant rate of 3.4%, and the 2% grant rate in 2008. Since his appointment in 2009, Chief Judge Jonathan Lippman has publicly spoken of the need for the Court to hear more criminal cases. See, Full Court Pass, May 5, 2009. The increased number of grants in criminal cases seemingly reflects his success in convincing other members of the Court of the importance of hearing criminal appeals. 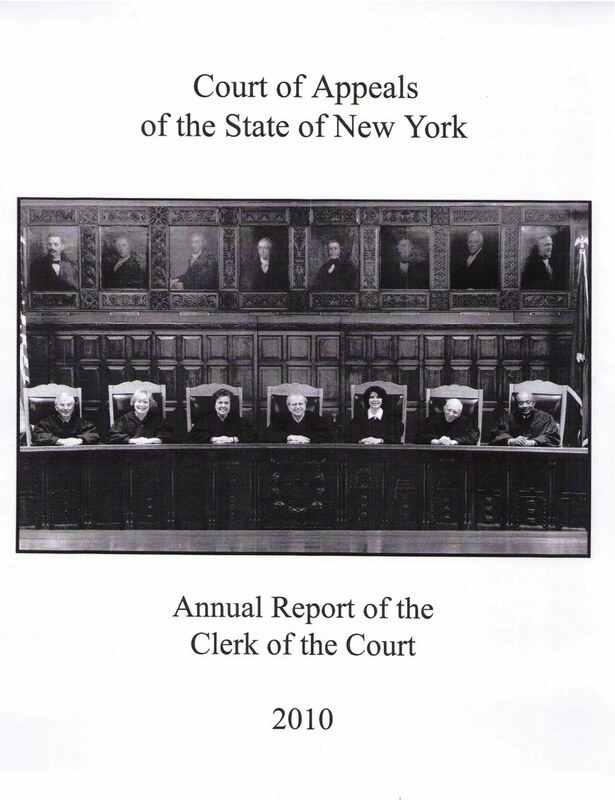 The message of the Report is clear: if a party does not prevail in the Appellate Division, there is simply a very limited opportunity to change the outcome by securing further review in the Court of Appeals. The full Report can be found by going to the Court of Appeals website here.